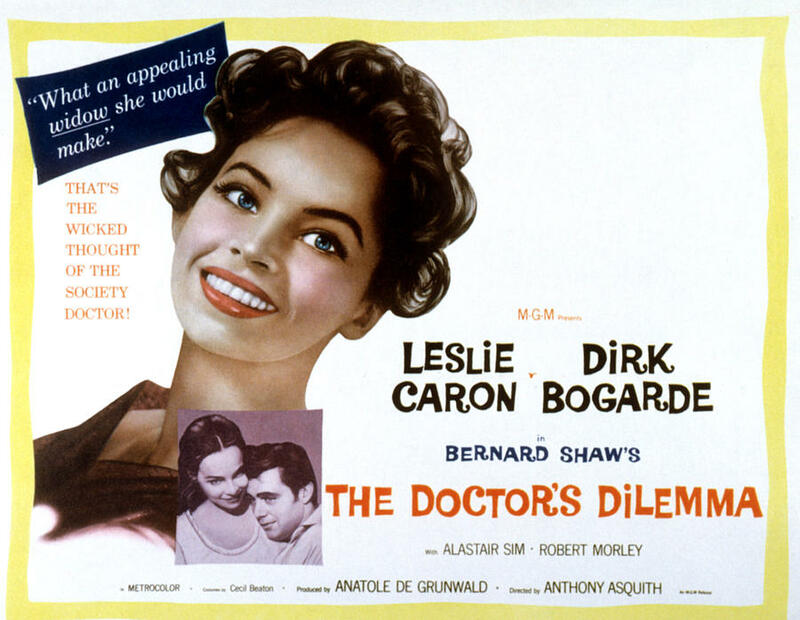 Movie Ramble: The Doctors Dilemma. Dirk Bogarde, who puts in a fine performance and ‘brings much needed breath of life to the film’, is the best thing about the Anatole de Grunwald adaptation of George Bernard Shaw’s 1906 play, The Doctors Dilemma (1958). 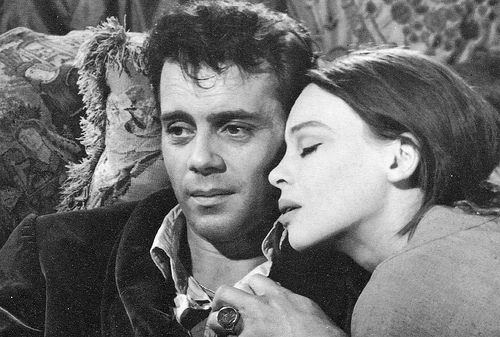 In it he plays Louis Dubedat an artist of genius but, there's always a but, under his handsomely outward charm is an unpleasant and cruel scoundrel, a bigamist who currently shares his artist garret with his second wife Jennifer Dubedat played by the French actress Leslie Caron. The crux of Shaw’s story involves the recently knighted Sir Colenso Rideon (John Robinson) a recognised expert in his field, who must allocate the final place on his long waiting list for an operation to cure consumption. Will it be the hard working, honest and decent Doctor Blenkinsopp (Michael Gwynn) or the afore mentioned artist? Rideon’s decision is not an easy one as he has become infatuated with the lovely Jennifer Dubedat and bearing in mind whomever he leaves off his list will certainly die! With the unsolicited help of his three rich and empty-headed medical colleges played by Robert Morley, Felix Aylmer and Alastair Sim, Rideon he has to reach a decision and quickly! Will it be Louis Dubedat who is saved? I’m not a great admirer of George Bernard Shaw’s verbal wit and I found this adaptation, really no more than a ‘photographed’ play, dry and considerably talky. This pompous costume melodrama seemed out dated even for 1958! The original director was to be Alexander Mackendrick but following disagreements with the films producer’s was replaced by Anthony Asquith, who worked with Bogarde in Libel the year after. Made for the American Studio MGM, who financed and distributed the film, at Borehamwood in Hertfordshire England the filmed flopped in the UK, doing much better in the US. The problem was that the British public felt cheated when they realised that the film was not one of Bogarde’s ‘Doctor’ films ‘they don’t want to pay good money to watch (Bogarde) croaking about TB in an attic’ Unsurprisingly the movie has since slid into obscurity – probably for Bogarde completest only?